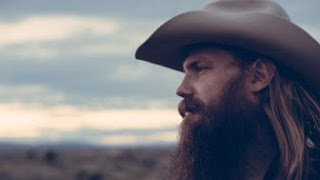 Chris Stapleton’s highly anticipated new album, From A Room: Volume 1, landed at No 2 on the UK Americana Chart on Friday, following critical support from influential UK media including Line Of Best Fit and Apple. The highly anticipated full-length record is the first new music from Stapleton since 2015’s breakthrough double Platinum solo debut Traveller and will be followed by From A Room: Volume 2—coming later this year. Stapleton showed his humorous side on Jimmy Fallon last week when he joined Kevin Bacon in a comic rendition of ZZ Top’s ‘Legs’ for First Drafts Of Rock.